This doll is 11” tall. 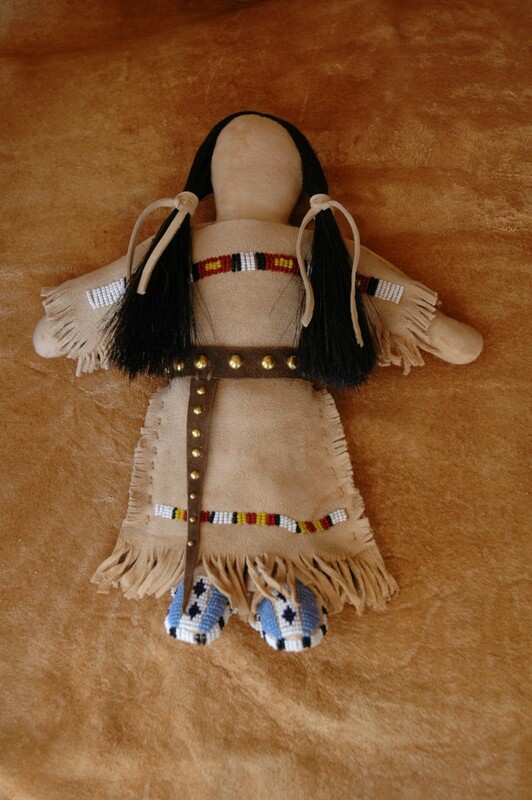 It is made from muslin with brain tan leather for the clothes and horse hair. Please allow 4- 6 weeks for delivery.